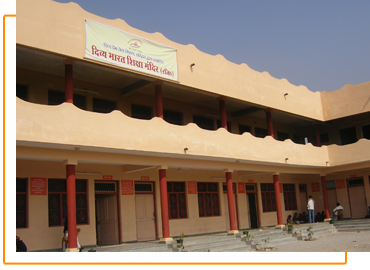 Divya Bharat Shiksha Mandir is the school in VandeMatram Kunj that provides education to the residents of Pradeep Vatika hostel. The school is recognized from Uttarakhand State Education Board and offers classes from nursery to 10th. The school also has a primitive computer center, which houses a few computers to impart software and hardware skills for the students. Nachiketa library at the school has a good collection of books on diversified topics, with more and more number being added each year.